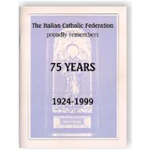 To purchase any of the items featured on this page, please contact the ICF Central Office. 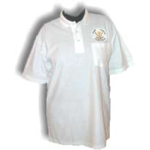 Handsome white polyester-cotton blend with gold, black and white stitched ICF logo. Women’s sizes only. Bright yellow paper with ICF logo. Ideal for branch and district dinners. Packages of 500.